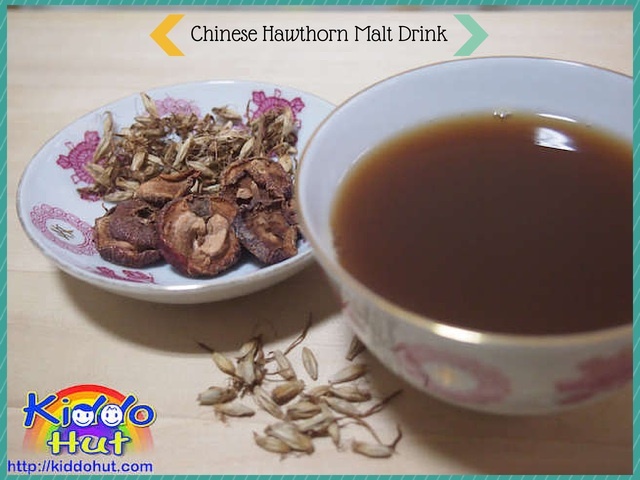 Chinese Hawthorn Malt Drink. So, how does sticky poo relate to appetite? From sticky stool to better appetite? … here is my recent little discovery. I have two sons, one who doesn’t eat much or rather, he eats very little and at times just rejects food, another always calls out “mum mum”. Nope, he isn’t addressing me. It is the baby language for food and he wants to eat. Both are twins, delivered around the same weight and just two minutes apart in birth time. Beside characters, the capacities of their stomachs seem far apart too. Recently, followed shortly after G2’s diarrhea episode, G1 started with his sticky poo marathon. Not considered a diarrhea since he pooed less than 8 times per day, but probably 5-6 times throughout the day and each time, you could still see some indigestible vegetables like vibrant orange carrot or dark greeny spinach in his stools. Sounds yucky I agree. But mummy needs to dissect and examine conscientiously the content, texture and colour of the stools with great interest. Frankly speaking, which parents don’t do that and which parents have never smelled their little ones’ butts to check if he/she poos. Common. We fed him western medicine for three days but his condition didn’t seem to improve. My mum recollected that she has seen this condition 50+ years ago in her brother. Oh yes, by the third day of the sticky poo, grandma joined in the PAT (Poo Analysis Taskforce) too. Apparently, this medical condition is called, “halt-tio” in Teochew. Whatever it meant, hubby and I went to the Traditional Medical Hall (TMH) to check, and was prescribed Chinese Hawthorn (山楂), malt (麥芽) and some brown sugar. Chinese Hawthorn (山楂）a.k.a. Crataegus pinnatifida which is often used in naturopathic medicine and traditional Chinese medicine (TCM), and used primarily as digestive aids. And, malt (麥芽）a.k.a. 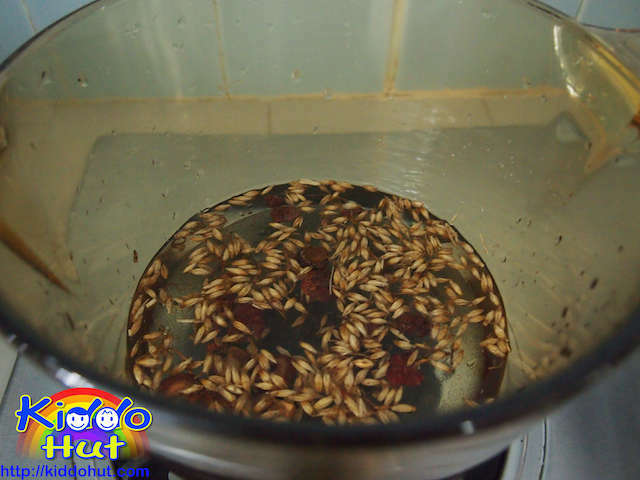 Fructus Hordei Germinatus which is used in the TCM for promoting digestion, invigorating spleen, stopping lactation and releasing distension. Apparently, these 2 ingredients are mainly to aid digestion, seems pretty safe and my kids were already 13+ months, we decided to give it a try. Boiling these 2 items, approximately 12g-15g each (the TMH sells by dollar value instead of weight. This translates to S$1 each for the ingredients and adjusted to age) with 1.5 bowl of water for 30 minutes and adds some brown sugar to taste. Surprisingly, after drinking twice per day over 2 days, his stools were back to normal. What was more consoling is, his appetite has increased although he is still a fussy eater. Something that cures his sticky poo condition has helped in better his appetite! That surprised us though. If you have enjoyed reading this post, do like my Facebook page to get more upcoming fun and informative posts. You can also follow me on Twitter (@KiddoHut), Pinterest (@KiddoHut), Google+ (@KiddoHut) and StumbleUpon (@ Kiddo Hut) for more updates. Thank you for visiting Kiddo Hut!